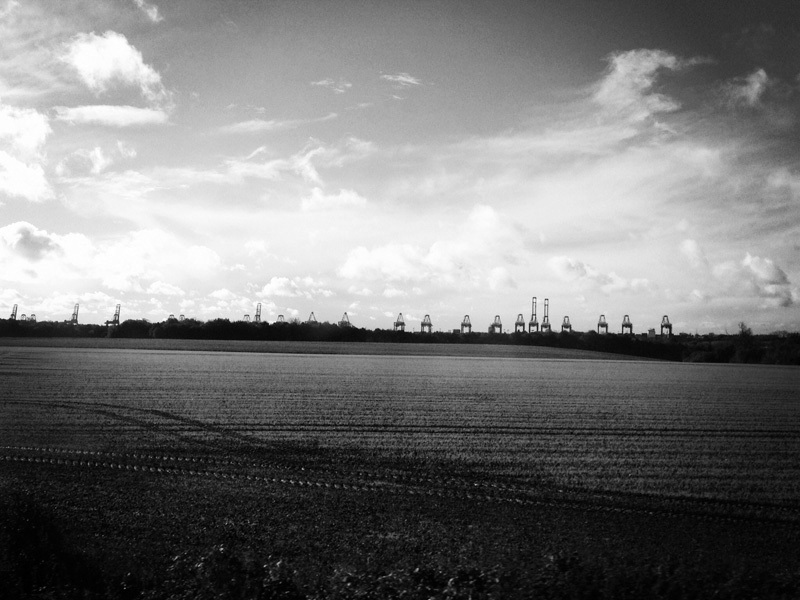 An audio-visual guided tour for a train journey from Ipswich to Felixstowe; a railway journey rich in history which passes through diverse landscape and diverse communities. Perhaps this small corner of the UK plays a vital role in your life? Come with us and make yourself comfortable, as we take you on a journey that explores past and future; local and global; land and sea. University Campus Suffolk and Atrium Studios, especially Carol Gant, Melanie Reid and Noyale Colin; the Romanus family; Pacitti Company; Kate Gladwell at Ipswich Council; the staff at Ipswich Train station; the staff at the Port of Felixstowe, especially John Kornjaca; the staff at Felixstowe Seafearers Centre, especially Pete, Len and Rick; St Elizabeth Hospice Felixstowe; Bryan Frost and Rosemary Gitsham; Sue Clements and Ipswich Council for Voluntary Services. Supported by Arts Council England and National Lottery, Greater Anglia as part of SPILL Festival of Performance 2012.